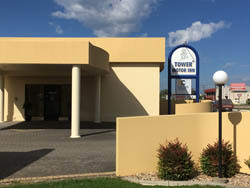 The Golden Chain Tower Motor Inn is a 19 roomed 3½ Star rated property offering 10 Newly Refurbished 4 Star rooms, situated midway between Melbourne and Adelaide in Mount Gambier South Australia on the Limestone Coast. 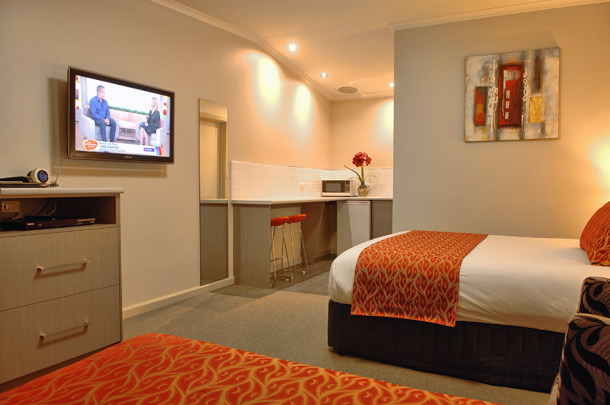 A perfect destination for a stop over from the Great Ocean Road, the Grampians or a return trip from Kangaroo Island. 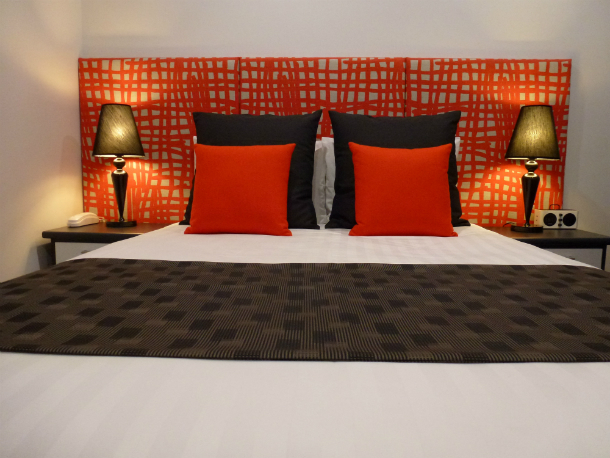 Stay in our Newly refurbished 4 star Superior rooms featuring luxurious quality pillow top beds, Split system A/C, I-Pod dock, flat screen LCD HD televisions with Blu-Ray players and latest release movies, frameless shower screens and Italian leather couches, designed for comfort for business or pleasure. Enjoy Country style cooked or continental breakfast served to your room, stay connected with Free Wireless Internet or simply relax outdoors by our water feature on the Alfresco decking. 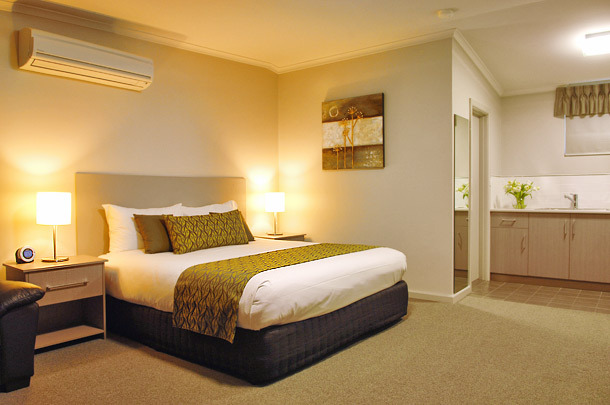 Our mission at the Golden Chain Tower Motor Inn is to maintain high quality accommodation together with friendly country hospitality to ensure your stay is a memorable one. Enjoy the diversity of experiences that the Limestone Coast has to offer. A visit to the Magnificent Blue Lake is a must and is located only 5 mins from the Golden Chain Tower Motor Inn where you will learn the mystery of the colour change, or take a short drive north to the World famous Coonawarra wine regions. Learn the history of the region by following the Kanawinka Geo Trail, cruise the Glenelg river at Nelson or take a drive to the popular seaside towns including Cray-fishing Capital Port Mac Donnell or Robe.